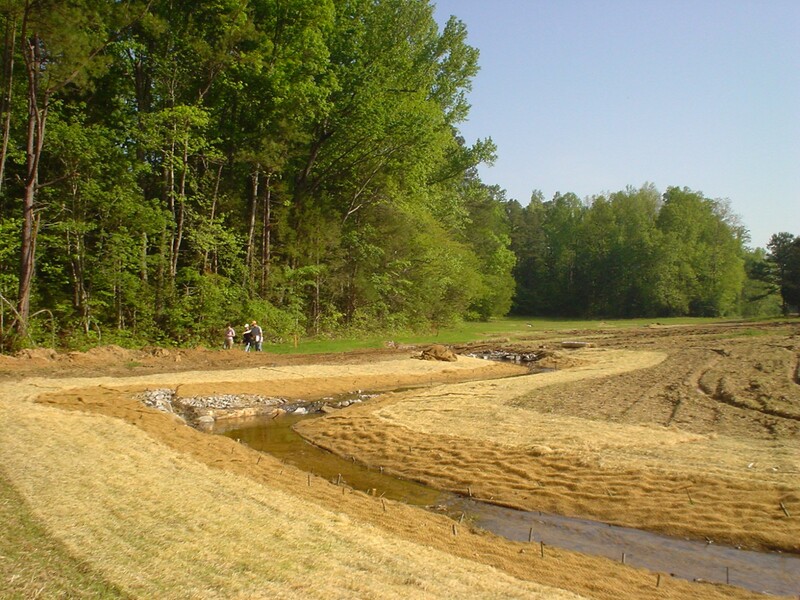 S&EC prepared the restoration design plans for restoration of approximately 2,550 linear feet of piedmont stream and its associated riparian buffer in Warren County, NC. The project also included the enhancement of approximately 750 linear feet of stream as well as the restoration, enhancement and creation of a combined total of approximately 18.5 acres of riverine wetlands. The project provides stream and weltand mitigation for Wake Stone Corporation for resource impacts on one of of its quarry sites. The project was performed as part of regulatory mitigation requirements for the issuance of a U.S. Army Corps of Engineers (USACE) Individual Permit (Section 404) and supporting N.C. Division of Water Quality (DWQ) Water Quality Certification (401). Services also included evaluation of existing impaired/impacted site conditions, stream and wetland delineation, the development of a project Restoration Plan, the development of construction documents, erosion and sedimentation pollution control plan, and regulatory coordination and permitting, construction observation and five years of post-construction site monitoring. Stream design utilized collected reference reach data and Rosgen-based natural channel design methodologies for stream restoration. S&EC in concert with Wake Stone is performing morphological, hydrology, vegetation and benthic macroinvertebrate monitoring to evaluate site success. The site is currently in its third year of monitoring. Newell Farm stream restoration construction was performed and supervised by employees of Wake Stone Corporation of Raleigh, NC. As the property owner and permittee Wake Stone utilized internal equipment and operator assets to make the project a success.